Throughout this section, the term "we", "us" or "our" refers to Transition Squad® USA Inc. and Transition Squad® Inc. (Canada) as applicable. The term "you" and "your" refers to the user who is accessing our website and contemplating bidding on one or more lots hosted on our website and offered for sale through our online auction platform. For users of our free online classifieds, you agree that your usage will be at your own risk, that the listings are not proactively monitored by an administrator, and you will conform to reputable use of this service. You agree that your listings may be flagged by the user community as inapproriate, may be taken down at any time and that multiple such incidences will result in cancellation of your account. As a seller, you agree that the email address you enter on your profile will be shown to logged in users claiming to be interested in your items and they may contact you directly. To bid on our online auctions, you must register on our website and agree to these Terms and Conditions. These Terms and Conditions are subject to change without notice. By registering with us, you agree to be bound by the most current set of Terms and Conditions as published under the "Buyers" menu. By registering, you provide explicit permission to receive email notifications from us advising of upcoming auctions, which may also include other marketing communications. You can opt out of notifications of upcoming auctions by clicking on the Unsubscribe button at the bottom of such emails. This will not prevent you from bidding in future auctions or attending our physical estate sales. However, you cannot unsubscribe from auction specific email notifications advising that you have been outbid or have won lots you bid on as well as any instruction emails we send to you related to pickup of such lots. You agree to provide accurate and complete contact information when registering and keep it updated in the event you move or change such contact information so that we may reach you in cases of bid problems, scheduling changes, shipping notifications and other related information. To place a bid in any of our online auctions, you must submit your valid credit card information (VISA or MC Credit Cards, or VISA or MC Debit Cards only) along with your first bid in each auction that you participate in. Your card will be authorized in order to authenticate your identity FOR THAT AUCTION ONLY. Once authorized, you may increase your bids and bid on other lots without re-entering your credit card information for that auction. For security reasons, we do not store credit card information. To bid on lots running in other auctions, you will be required to enter your credit card information again. Similar to a live auction, bidding will continue on a lot until all bidders have stopped bidding. At the original bid deadline, all lots that have not had bids or not had bids for the last two minutes will be deemed sold. Lots that have had bids in the last two minutes will have the bid deadline for those lots only extended by two minutes. Any further bids within the last two minutes of the new bid deadline will extend the bidding another two minutes on that lot. Only those lots being fought over will continue to remain open until bidding is idle for two minutes. We reserve the right to arbitrate and reassign any winning bid for reasons including but not limited to system malfunction, user error or time zone variances with our hosting provider. Any bids received after the bid deadline on a lot, even if a system malfunction allows it, will be disqualified. Bid deadlines will be based on the time local to the client premises. The timer shown on each auction page will be the only measure of when an auction bid deadline is passed. If you are the current high bidder but would like to lower your Max Bid, you must notify us in writing (email will suffice to [email protected]). You cannot lower your Max Bid below your Current Bid. If you are the current high bidder and would like to retract your bid and Max Bid completely, you must also notify us in writing (email will suffice to [email protected]). For non-real estate auctions, there will be a non-refundable $25 service fee charged to your credit card. For real estate auctions, the Broker Administration Fee of $895 will be charged to your credit card and will not be refundable. Retracting a bid is highly discouraged, however if you must, it is your legal right to do so. Retracting a bid more than once will result in your account being cancelled and future bidding privileges being revoked. If you are notified that you are the winning bidder, you must attend the pickup period during the designated date(s) and time(s) to pick up your lot(s). If you are bidding on a Transition Squad® Managed Auction from a client's home, this is the only window available for pickup of lots won. If you believe that you may not be able to attend during the designated date(s) and time(s), then either make arrangements with someone else to pick up on your behalf or do not bid. Shipping providers are shown on auction pages where shipping is possible. If you are bidding on one of our consignment store auctions, and you cannot make it during the pickup period, then either make arrangements with someone else to pick up on your behalf or call the store promptly to make arrangements. If both of the above actions are not taken, the lot will not be released and you risk forfeiting your lots without a refund. In order for your winning lot to be released, you or the person/company picking up for you must bring your receipt or be able to show it on a phone or tablet. You/They must also show a piece of valid photo id (e.g. : driver's license, health card, etc.) unless you are known to the designated Sale Manager. A copy of the id will be taken. You understand that all lots are being sold "AS-IS, WHERE IS" with no representation of quality, condition, workmanship or regulatory compliance beyond the pickup date, other than the provisions of Buyer Protection listed below. We charge a Buyer's Premium (plus sales and/or use tax where applicable) on all online auctions. There is also a $1.50 surcharge if your total net purchase (before tax and Buyer's Premium) is less than $15. For online auctions from our Consignment Store, we offer a 7 day exchange policy only, no refunds apply. A voucher will be issued that can be used within the next 6 months. Shipping and/or other transportation charges are not part of this exchange policy. Lots must be returned in the same condition as when they were picked up. For Consignment Store online auctions, lots not picked up during the pickup period without prior arrangements being made will be deemed forfeited without a refund. You agree to bring appropriate tools, packing materials and helpers to dismantle and remove the lots from any auction premises. Due to insurance requirements, our staff are not allowed to help move large lots. We highly recommend that you not bring young children with you to the pickup or previews. Doing so will be at your own risk and you agree to hold us, our franchisees, agents, representatives and partners harmless in the event of injury or death. You agree to cover the cost of any damage caused to the premises or to other lots by you and/or those attending the pickup with you, including children, and/or those assigned or hired by you to conduct the pickup, or if applicable, during an onsite preview. You provide approval to charge such costs to your credit card or, at our discretion, allow you to pay for such costs when presented with appropriate estimates, including all credit card charges and a 15% administration charges. Our online auctions and estate sales are meant to be family-friendly events that are designed to be safe and fun for all parties. You agree to conduct yourself in a professional, reasonable manner that does not create or encourage conflict or violate anyone's rights or privacy. This includes but is not limited to carrying on in a disruptive manner, using offensive or disrespectful language of any sort, contacting sellers privately or trespassing on their property for advance viewing or purchase opportunities. Charges may be laid in the event of trespassing and your account will be closed and you will not be allowed to participate in future auctions. As these are public competitive auctions, we, our franchisees, agents, representatives and partners are eligible to bid on lots. You must make every effort to inspect your purchased item(s) prior to leaving the premises with them. In the event that an item is not as described, is damaged without disclosure in the listing either through pictures or wording, is missing parts or if there was any material information not disclosed in the listing description, you have the right to receive a refund. In this event, you should notify the Sale Manager of your concerns immediately and not leave the premises with the item and not sign the receipt. The Sale Manager will evaluate the situation and authorize a refund, if appropriate, which will be processed by us within 3-5 business days. If you leave with your item(s) and sign the receipt stating they are in good order, there are no refunds unless you can absolutely demonstrate that the listing was misrepresented. You must notify the Sale Manager within 48 hours (two business weekdays) and explain your situation. If you and the Sale Manager cannot agree on whether a refund is due, then you may request us to arbitrate. You agree that all of our decisions are final and binding. You must bring back the items in question at your expense in the same condition as they left the premises prior to a refund being issued. You hold us, our franchisees, agents, representatives and partners harmless in the event that an item is eligible for Buyer Protection under the above terms, or lost, stolen, damaged or withdrawn from the auction prior to pick-up. A full refund will be issued under these circumstances. We, our franchisees, agents, representatives and partners reserve the right for any reason to remove an item from an auction prior to the pickup period even if there are bids on it. When there is a viewing period, you are given the opportunity to inspect the item prior to bidding. If you choose to bid without such inspection, then you do so at your own risk. There is no Buyer's Protection in this situation, even if the item is misrepresented, damaged or missing parts. As a Member, you will be notified of upcoming sales, auctions and deals via email. Buying or leasing a new or used car? Get 10% off Automall Network's car buying or selling services. Designed to help you get a great price with a lot less headache and hassle. Visit AutomallNetwork.com for details or call (416) 249-5474 / (866) 310-8699 from anywhere in North America. 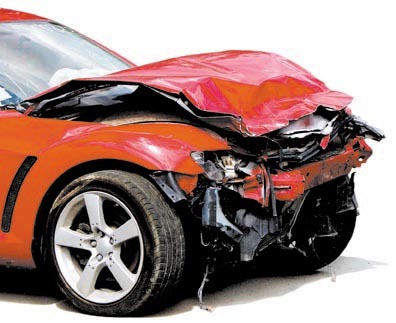 If your car has been in an accident and repaired, even if it is repaired properly, it is still worth a lot less on the open market than one without a claim reported against it. Find out how much less with MyCarIsWorthLess.com's Diminished Value Report. Members get 10% off by using the promo code "ts_member". Visit MyCarIsWorthLess.com for details or call (416) 849-3131.